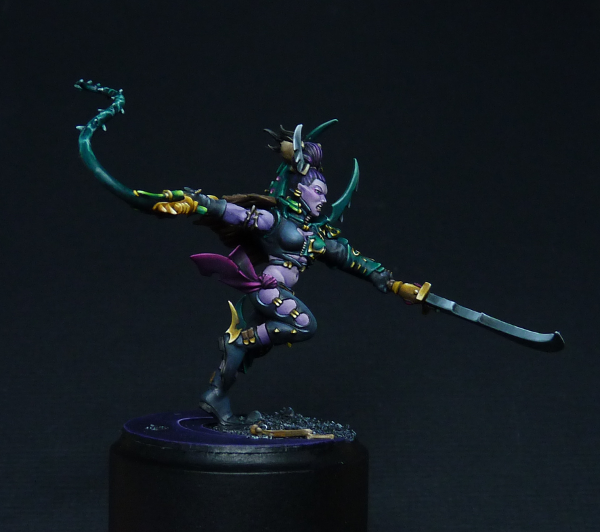 I always wanted to do a step-by-step on painting a complete miniature. 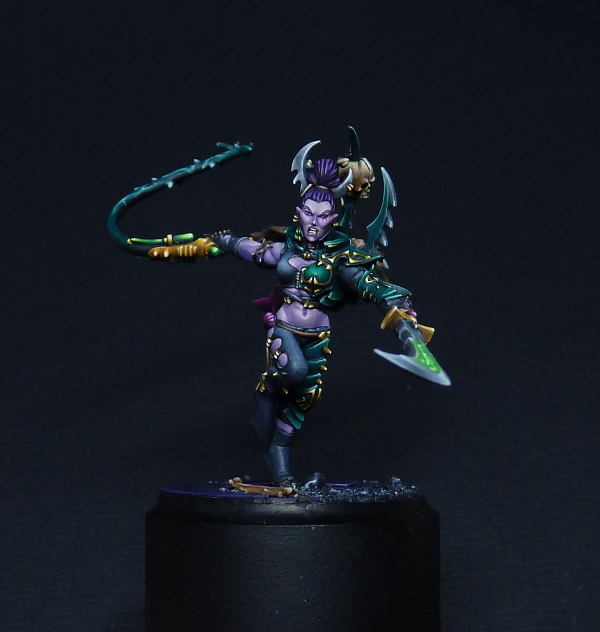 For this, I chose this awesome mini from Games Workshop. 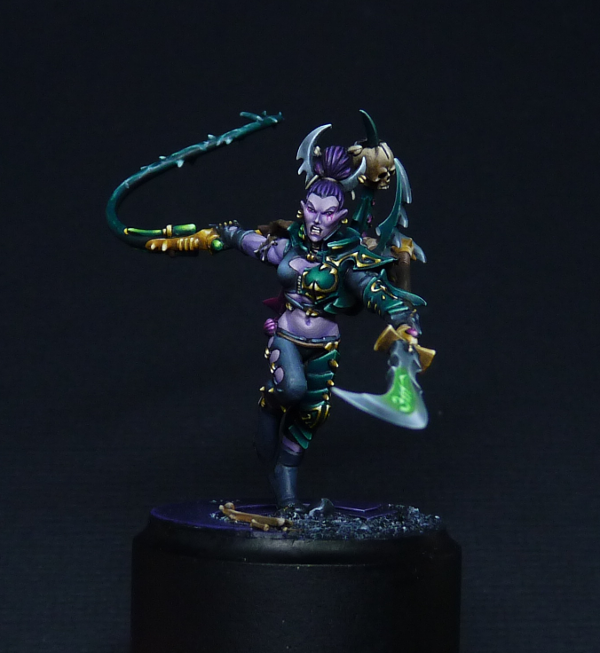 I really enjoyed painting her. 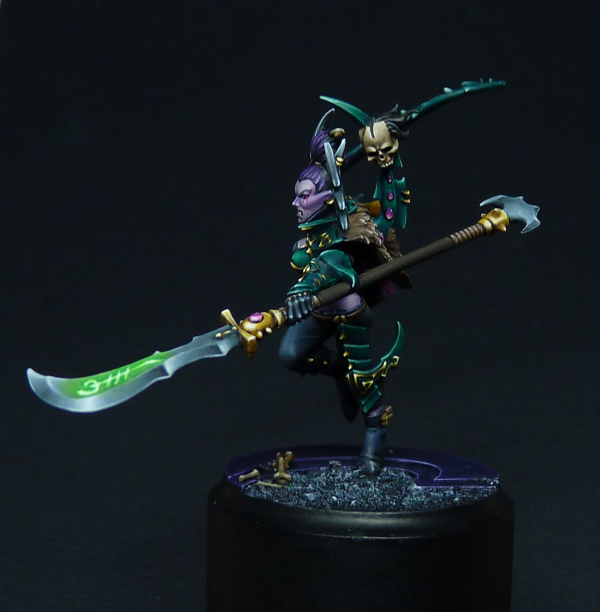 I particularly wanted to show how you do not have to follow ‘Eavy Metal style to paint these miniatures, and how you can use edge highlighting more subtly ;). Of course it was great fun to play with the daylight pigments!